With the passing of three adoptees by suicide in just three weeks, I decided this list is much needed for adoptees and adoptive parents. Adoption trauma is a topic that we need to start taking seriously. Adoptees are four times more like to attempt suicide than non-adoptees, yet adoptees rarely receive the mental health therapy they need. 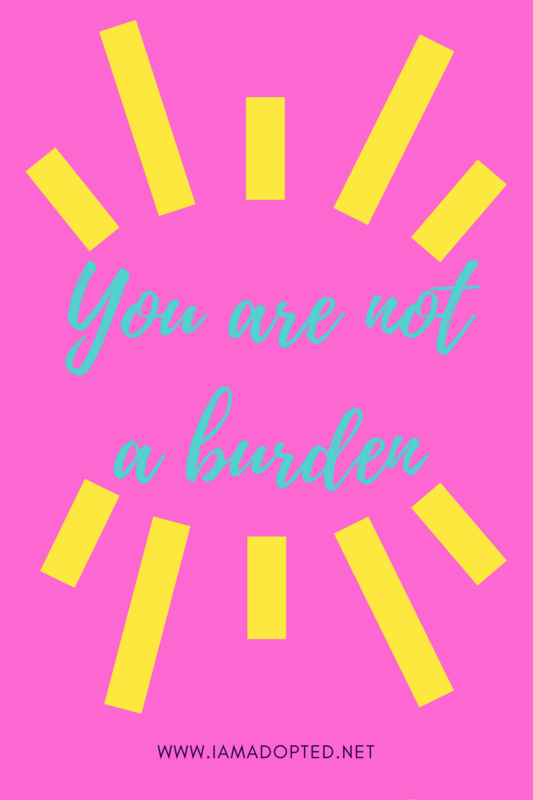 Many adoptees are suffering in silence unable to break away from depression and anxiety because the trauma was never validated nor was therapy made available. I believe all adoptees and adoptive parents should have a relationship with a therapist that specializes in adoption trauma and attachment. Trauma is tricky; it can show up in early childhood years to adults years. 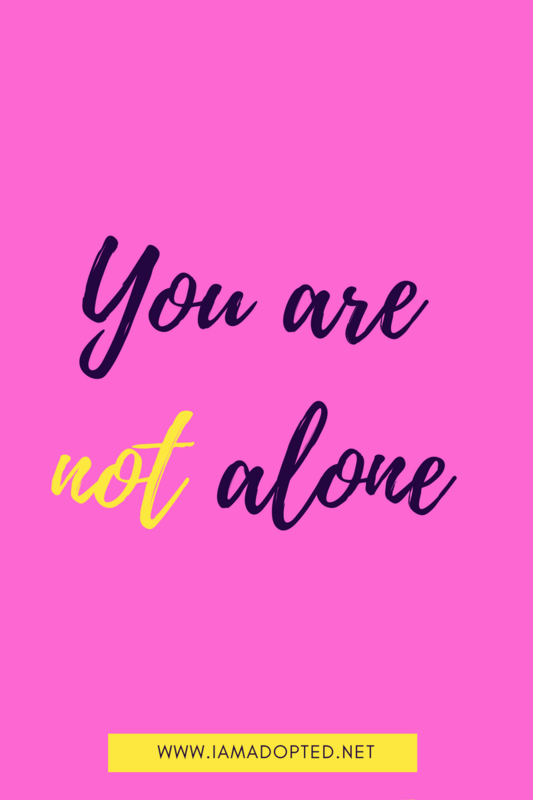 It is important adoptees have the support of therapist, family, and friends to talk with to work through thoughts of suicide, depression, and anxiety. No adoptee should suffer in silence. 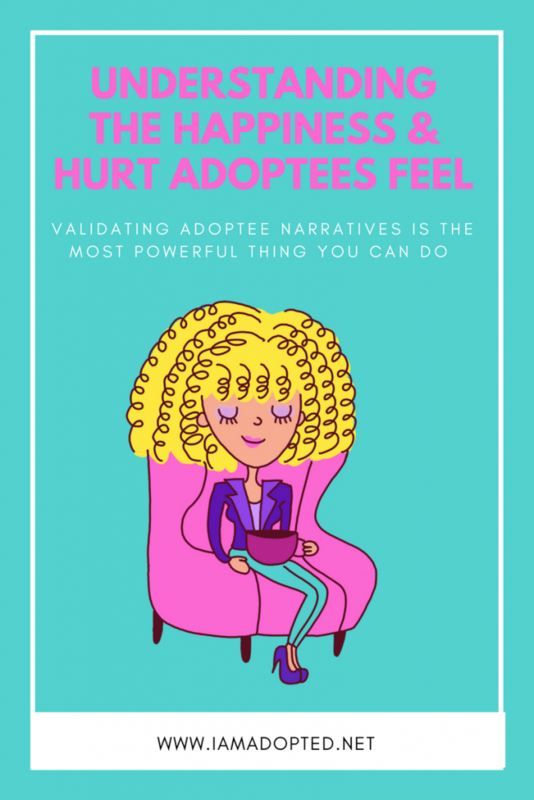 If you are unable to see a therapist or would like to better understand adoption trauma personally or for your child, I have complied a list of books for you to gain a thorough understanding of adoption trauma. Below I selected a list of therapist that are active in the adoptee community and specialize in adoption trauma. Those labeled with an asterisk * are adoptees. She was adopted from Hong Kong and raised in a transracially adoptive family. Her experiences both personally and professionally have lead her to focus her research and clinical practice on adoption triad members, transracial/international adoption issues, racial and cultural identity, and multicultural counseling competence. Dr. Baden has written extensively on adoption issues including having created a model of identity for transracial and international adoptees called the Cultural-Racial Identity Model. Dr. Baden’s clinical specializations include counseling adoption triad members, transracial adoptees, and individuals having multiracial backgrounds. She lives in New York City and is a licensed psychologist with a clinical practice in Manhattan. Dr. Pavao has done extensive training, both nationally and internationally. She is a lecturer in Psychiatry at Harvard Medical School, and she has consulted to various public and private child welfare agencies, adoption agencies, schools, and community groups, as well as probate and family court judges, lawyers, and clergy. Additionally, she has worked closely with individuals and families touched by adoption, foster care, and other complex blended family constructions. She has developed models for treatment and for training using her systemic, intergenerational, and developmental framework, The Normative Crises in the Development of the Adoptive Family, and her book, The Family of Adoption(Beacon Press), has received high acclaim. Dr. Joyce Maguire Pavao has worked for forty years in the fields of adoption and complex families, child welfare, family therapy, organizational development, and family systems, through consulting, training, and designing programs and interventions for schools, businesses, corporations, and non-profit agencies. Dr. Pavao can help you to identify alternative sources of wisdom, such as spiritual traditions and the self-help and human potential theories, and to bring a range of specialized approaches, from narrative and cognitive behavioral coaching to cognitive coaching for executives, parents, athletes, artists, musicians, young adults, and teens who are in need of identity focus and framing. Karen Caffrey uses Somatic Experiences for Trauma. Somatic Experiencing® is a system of healing techniques designed to help you calm down after a stressful event(s), as well as relieve the symptoms of ongoing and chronic stress. Nature has beautifully designed your nervous systems to be able to do this. Your ability to respond to stressful events and then calm down is called “resilience”. Karen Caffrey is located in Hartford, CT.
Visit her website to receive a free 15-minute phone consultation. 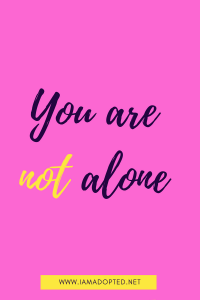 Melissa Richards specializes in Adoption, trauma, depression, grief, anxiety, anger, adolescents (ages 14+), bipolar disorders, coping skills, compulsive behaviors, eating disorders, divorce, relationship issues, self-image, self-harming. Melissa Richards is located in Miami, FL. Teleconferencing is available. EMDR (Eye Movement Desensitization and Reprocessing) is an integrative therapy that is effective in helping people get “un-stuck.” EMDR therapy is proven to be the most rapid and effective psychological treatment for PTSD (Post Traumatic Stress Disorder) and is fast becoming the treatment of choice for anxiety, depression and many other symptoms. “While my experience as an adoptee informs my work it doesn’t define it. Each person has a unique adoption story and our work will be collaborative in nature. 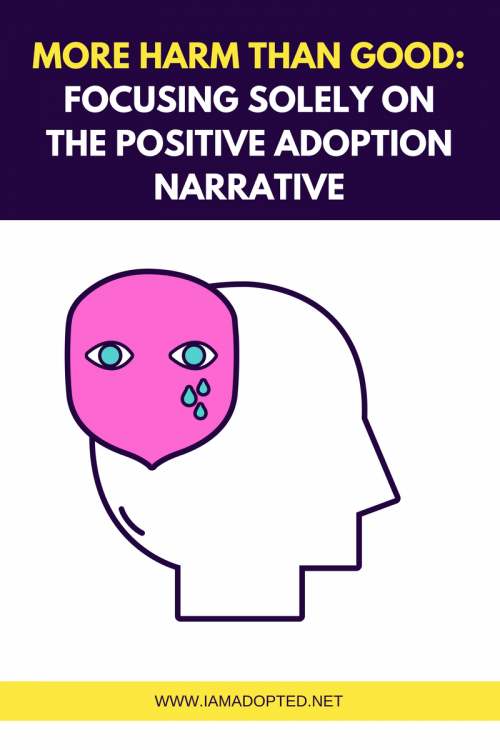 My work with clients reveals that many adopted children have similar anxieties and many adults who were adopted share common themes in their relationships. I strive to provide education and awareness and tailored interventions so that this generation of adoptees can connect the dots of their story and have an integrated and well-balanced life. Lesli Johnson is train and certified in EMDR (Eye Movement Desensitization and Reprocessing). EMDR is an integrative therapy that is effective in helping people get “un-stuck.” EMDR therapy is proven to be the most rapid and effective psychological treatment for PTSD (Post Traumatic Stress Disorder) and is fast becoming the treatment of choice for anxiety, depression and many other symptoms. EMDR therapy is useful for: adoption/attachment, grief/loss, separation trauma, depression, PTSD to name a few often related to adoption. Lesli Johnson is located in Pasadena and Beverly Hills, CA. Teleconferencing is available. Throughout my career, I have worked with several adult adoptees, children that have been adopted, expectant mothers, birth mothers, and parents of adopted children. I adopted my son as a single woman and count several adoptees and adoptive parents among my friends, mentors, and clients. While not all concerns relate back to adoption, it is important to work with someone who understands the impact that adoption can have on an individual and a family. It is especially important for children to work with a therapist that will work with the entire family and not allow him or herself to become an attachment figure for the child. Whether your concerns are directly related to adoption or not, a professional that fully understands all that is involved with adoption and the emotional triggers that can impact an individual even years later will best serve those in the adoption community. Most counselors and social workers are never provided specific adoption training and many families find that a therapist who is not trained in adoption competency can do more harm than good. Brook Randolph is located in Indianapolis, IN. Teleconferencing is available. “I specialize in illness and grief because as an adoptee I know loss in my bones. The best way I’ve found to heal from loss is through meaning. Pamela Cordano is a psychotherapist who specializes in illness and grief. For twenty years she has worked with individuals, couples, families and groups using a relational and somatic approach. Inspired by Viktor Frankl, she is passionate about the power of identifying and embodying what is meaningful, which allows for increased vitality and new possibilities. She leads a weekly Meaning Group in her private practice and teaches MeaningWork workshops locally and abroad. Pamela Cordano is located in Davis, California. I received specialized knowledge and training providing psychotherapy to children and adolescents using Play Therapy, Art Therapy, and Cognitive Behavior Therapy (CBT). Most of my experience has been helping foster and adopted children and adolescents that have experienced complex trauma and loss. I specialize in treating adolescents and adults who display high-risk behaviors by utilizing a evidenced-based, empathic, and individualized treatment. Prior to working in my own private practice, I was employed at in a community mental health setting where I received specialized training in Dialectical Behavioral Therapy (DBT), Family Psychoeducation, Trauma-Focused interventions. I help people recover from anxiety and depression, problems in their relationships, emotional, physical and sexual abuse, Post Traumatic Stress Disorder (PTSD), trauma, addictions, and women’s issues. Melissa K Nicolson’s is located in Grand Rapids, Michigan. Krista Woods, M.S.W, LCSW, (formerly McCoy) is the primary therapist and a Licensed Clinical Social Worker. She is well-known and respected in the field of foster care, adoption and mental health. She continues to publish articles on issues relating to adoption and foster care; and provides training across the US and abroad to prospective adoptive parents and adoption professionals and birth parents. She is often called up as a subject matter expert on adoption-related issues. She also has a personal connection with adoption. She is a biracial (African-American/Caucasian), transracial adoptee. She was briefly placed in foster care at birth and then adopted through the Illinois Dept. of Children and Family Services (DCFS). She has met several members of her birth family and continues to make new connections. She also has several other family members who joined their family by adoption. Specialty topics of training and therapy include a variety of adoption issues: transracial adoption, foster care/foster to adoption, openness in adoption, search and reunions, adoption through the lifespan, kinship care as well as the affects grief and loss on all members of the adoption triad. Krista Wood’s is located in Homewood, Illinois. The experience of being adopted can hit adoptees like a ton of bricks. When it does surface, it is often linked with other life stresses and transitions with those who matter. For more than 15 years, I’ve been passionate about helping individuals and families change their lives. My life as a Korean-Adoptee enriches and informs my work, but it doesn’t dominate it. Along with overarching themes, it’s the nuances the details that make each family unique. Extensive experience leading groups for therapeutic, psycho-ed and support groups for adoptive parents, Asian adoptees, clinicians and adolescent girls. Katie Naftzger’s is located in Netwon, Massachusettes. “Jeanette’s desire to become a child therapist with a special focus on adopted and foster care issues derived from her own experience of being adopted and moving through the foster care system. Her personal experience has informed her education and provided insight into the unique stresses involved with these issues. Because of Jeanette’s life experience she can more easily connect and relate to the children and teens she works with. 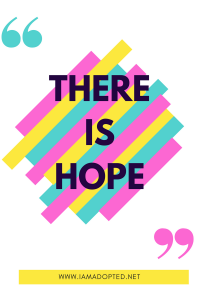 She is an exceptional child-care worker who is dedicated to helping each of her clients reach their full potential through mental health therapy and make the difficult journey from despair towards resiliency and hope. Jeanette Yoffe is located in Los Angeles, California. As the parent of two teens and a tween, both by birth and adoption – adoption-related issues are a special area of focus. Maureen holds an M.A. from Antioch University. She also completed the Family Training Program at the Southern California Counseling Center and co-facilitates the monthly Adopt Salon Pacific Palisades Family Support Group. She works with parents, adolescents and kids offering an opportunity to resolve conflict, alleviate distress and lay the groundwork for successfully negotiating life’s inevitable challenges and the ever-shifting dynamic of parent/child relationships. Maureen Donley’s is located in Los Angeles, California. As the mother of two young children adopted through foster care, she understands first hand the complex issues involved for all in the process. Her focus in family and individual therapy is on healing early life trauma and helping to build healthy, loving relationships. She also helps guide those who are currently considering adoption as a way to build their family. Ledette grew up in Colombia, and in addition to being able to conduct therapy in fluent Spanish, she understands the cultural differences around foster care and adoption in the Hispanic community. Ledette Gambini’s is located in Los Angeles, California. Casey provides child, family, and adult psychotherapy for adoption, foster care, parenting, trauma, depression, ADHD, anger, anxiety, and attachment issues. She creates a safe and supportive environment to nurture all families. Drawing from a lifetime of personal experience, Casey offers compassionate understanding and specialized support to all members of the adoption constellation. Casey Jones is located in Los Angeles, California. “Specializing in trauma; and adoptive and foster kids, teens, and adults. In my private practice, I offer individual, family, and group therapy. Nearly all of the time, I see children and teens with attachment issues (RAD) in a family therapy setting. I also offer Dialectical Behavior Therapy (DBT) skills groups with kids and teens. Carol Lozier is located in Louisville, KY. I specialize in working with adoptive families, adopted persons and birth families. My ideal client would be any family, adolescent or adult person dealing with issues surrounding their adoption, or the loss of their child through adoption. Additionally, I am EMDR certified and enjoy working with individuals who are struggling to overcome challenges from their past that seem to reoccur as their life evolves. EMDR is an extremely effective treatment modality to address a wide-range of behaviors stemming from the big and little traumas of life. I am an EMDR therapist with 20 years of experience in all aspects of the field of adoption and trauma. I specialize in this area, and understand issues facing adoptees, birth parents, adoptive families, and siblings separated through adoption. My years of personal and professional experiences are key to the connections I maintain with my clients. I empathize with all members of the adoption triad and understand that there is grief associated with each role. Additionally, my EMDR training allows me help identify and resolve the root of many types of traumatic challenges. You deserve to work with a professional who understands the complexities of adoption. I have a literal lifetime of experience with adoption – as an international and transracial adoptee from India, adoptive parent to a son from Ethiopia, and professional specializing in foster and adoption work with families. Dr. Chaitra Wirta-Leiker is located in Denver, CO and offers a complimentary consultation. Kay provides therapy for individuals, couples, and families. She is passionate about building connections between people. Kay has extensive experience with attachment issues. She specializes in working with adopted children and their families. Kay uses a combination of approaches, including: Theraplay, Dyadic Developmental Psychotherapy, Trust-Based Relational Therapy, Brain Gym, EMDR, and Cognitive Behavioral Therapy. Kay also does public speaking about adoption and parenting issues. Kay has been married for 31 years. She has 4 teenage and young adult children, 2 by birth and 2 by adoption. Using collaboration and transparency I support and empower clients through a wide range of challenge. 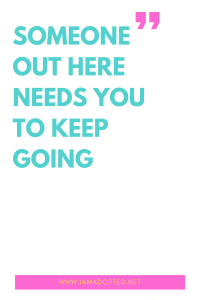 Empowering clients, identifying their own resources, creating new narratives and understanding to shift cycles of interaction all work to help people seeking help to shift from places of being stuck to getting unstuck. I offer a highly personalized and integrated contemporary approach tailored to each of my clients individual needs. Together, we will identify solution oriented paths to strengthen relationships, face the challenges of life today while personal growth and goals they’re striving for. I have significant training in childhood trauma and attachment. I completed the trauma certificate program from MSU which provided me specialized training in trauma. In addition, I have training in Theraplay, an attachment-based play therapy modality. I am also an adoptive mother to three internationally, transracially adopted children. I have completed extensive research on attachment, adoption, and identity development of transracial adoptees and children who have experienced trauma. Michelle Newman is located in Traverse City, MI. She accepts Medicaid insurances as well. Licensed Professional Counselor in Virginia and Licensed Clinical Professional Counselor in Maryland with more than 15 years experience providing mental health counseling services for diverse populations with treatment needs ranging from severe mental illness to mild adjustment issues. Regardless of the populations she serves, Susan strongly believes every person possesses innate strengths and resiliency. She does not adhere to a pathological model of treatment. Rather, she works diligently with her clients to build a trusting relationship, to identify their core strengths, and to collaboratively develop a plan to address where they feel challenged. Jaclyn Skalnik, LCSW, is the founder of Adoption Wellness and is also a transracial, internationally adopted person. She has assisted adoptive families throughout their adoption process for nearly two decades. She has presented at global conferences on matters concerning adoption and is passionate about counseling adopted persons and adoptive families seeking support. Other professional experiences include international adoption-related travel throughout Asia and Latin America, homeland travel with adoptive families, and advocating on behalf of children who deserve permanency in a loving, healthy family. Jaclyn is a Licensed Clinical Social Worker (LCSW), a trained Hague Accreditation reviewer for the Council on Accreditation, a member of the National Association of Social Workers, a World of Diversity trainer, adoptive family homeland journey social worker and has facilitated international birth-family searches and reunions. I am a Licensed Clinical Social Worker and a Certified Substance Abuse Counselor who provides therapy to children through adults. I work with adopted and foster care children as well as the adoption / foster parents. I have specialized training in substance abuse, trauma, EMDR (Eye Movement Desensitization and Reprocessing), play therapy, and Mindfulness. I also have training in Theraplay and Circle of Security which are attachment-based approaches to increase attachment and awareness. Compassionate Counseling, LLC is a Christian and Veteran owned small business. As a Christian, I also offer spiritual guidance based on Biblical principles to anyone who desires to enhance the therapeutic process with spiritual growth. I am also an adoptive mother of 2 whom has learned a lot through the parenting of her children which I consider as a strength in combination to my professional training as I help others heal and grow. Jennifer Griesbach is a pyschotherapist providing therapy for adopted adults in New York City. She is trained as an gestalt therapist and in EMDR and works with the body and our pre- and non-verbal experience of trauma as a way to get to the heart of the person’s adoption experience while being sensitive to the effects of trauma and issues in adoptee development. If you feel like you have been going in circles around issues that might be related to you having joined your family through adoption, or you are not functioning as well as you actually could if you could sort through it all, Jennifer Griesbach would like to speak with you. As a specialist in this area Jennifer Griesbach has found that her adopted adult clients have been able to sort through these questions and many others in the supportive environment of therapy and have been able to move forward with their lives. Dr. Wilson is associate professor of Pediatrics in the division of Child Development at the Medical College of Wisconsin. She is the staff psychologist within the International Adoption Clinic at Children’s Hospital of Wisconsin. In this role, she provides support to families at all stages of their adoption journeys, including pre-adoption education, initial consultation following a child’s immigration, school-age assessment, and child/family therapy. She is an adjunct staff to the Wisconsin-based TIES program, a heritage travel experience for children and families. Though her clinical specialty is in the unique psychosocial development of children adopted internationally, she also has clinical expertise in the mental health needs within domestic adoption and foster care. Mandy Jones is a LCSW in Evanston, IL (just north of Chicago). I have provided both home- and office-based services for adoptive families. I’m a Certified Theraplay Therapist and Trainer. Theraplay is great for adoptive families, as it provides a framework for creating secure attachment. I make it my goal to help families celebrate their successes and work through their struggles. Adoptive families experience some unique struggles that require special care and attention. Whether struggles arise when your child is 2 weeks, 2 years, 12 years, or 25 years old, I’m here to help. I believe in creating a collaborative relationship with parents to improve relationships and help children overcome their obstacles. I use a holistic framework for addressing emotional difficulties, approaching them from the idea that emotions are often stored in the body. 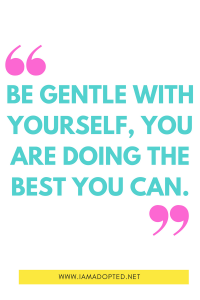 This mind-body approach allows us to complete unfinished business and facilitate deep long-lasting healing. I draw on my qualifications as a registered psychologist, an initiatic art therapist, a life coach, and a certified Soul Art® Guide, along with my personal experience as one who has walked through the shadows many times. Issues you might choose to address include anxiety, depression, grief, trauma, recovery from abuse and adverse childhood experiences (including adoption), improving communication, body image issues and life transitions. I work with those who are recovering from trauma, struggling with transitions, and remembering who they are. Healing involves honouring all our feelings, even the so-called ‘bad’ ones. When we do this, our outer circumstances start to align with who we are inside. How has therapy helped you? Do you have a therapist recommendation that you would like to add? Or are you a therapist that specializes in adoption trauma? Please post your recommendations in the comment section. I am also a couples and family therapist with a specialty in adoption , trained under Joyce Maguire Pavao. Also, have been a cofacioitator of an adoptive parent group for over 20 years and I am an adoptive parent and have parented my own daughter through reunion and beyond. In my private practice in Bergen County NJ I am available to support members of the adoption triad at all life stages using a systemic and relational approach. Hi, Linda! Great! I am happy to add you to this growing this. Have a great day! Great list Jess! Will share and continue to push the awareness. Hi, Claudia! Thank you so much, and thank you for your support. I will search the list and incorporate it to this blog post. Thank you for always helping me fill in the gap with resources. You rock! Kay Holler in Chicago is awesome. Hi Jeanne! Thank you for the recommendation. I will look up her information and add her to the list. Have a great day! Hi Rebecca; thank you for the feedback. This is a building list. I will be adding more therapist as I connect with them. I will reach out to my peers and see if they have any Bay Area recommendations. Please check back shortly. Have a great day. I am a therapist in Southern California and I work with all members of the adoption constellation to build connection and support healing. I have a special interest in Late Discovery Adoptees. I am in private practice in Orange County and am myself an adult adoptee. Hi Lesli! Awesome. The adoptee community can definitely use a therapist that has a special interest in Late Discovery Adoptees and is adopted as well. I will edit the list and add you to it. Thank you! Hi I’m a psychologist in Queensland Australia. I’m an adoptee and have completed the Australian Psychological Society’s training in working with people affected by forced adoption. I primarily use art therapy, somatic psychotherapy and cognitive behaviour therapy. I would love to be added to the list, thank you. Hi Leanne, can you please provide me with your last name and a website that lists your credentials and contact, please? Hi Jessenia, oh I thought if you just clicked on my name you’d see it. You can find everything at http://claimyourtreasure.com/ and https://leannechapman.com/. Probably the second one is the best one to link to. I’m a therapist in Northern Michigan. I have a specialized trauma certificate in trauma from Michigan State University. I’m trained in trauma-focused cognitive behavioral therapy and EMDR (eye movement desensitization and reprocessing. I’m also trained in Theraplay, a special attachment focused play therapy. I’ve worked with many adopted kids, adolescents, and adults. And, I’m the mother of three tranracial international adoptees. I accept Medicaid insurances as well. Hi Michelle, thank you for providing me your information. I am happy to add you to the list. Do you have a preferred website to link to to contact you? Hi Margie, thank you so much for this information! I have added both of them to the list. I am a LCSW who provides therapy to children through adults. I work with adopted and foster care children as well as the adoption / foster parents. I have specialized training in substance abuse, trauma, EMDR (Eye Movement Desensitization and Reprocessing), play therapy, and Mindfulness. I also have training in Theraplay and Circle of Security which are attachment based approaches to increase attachment and awareness. I am also an adoptive mother of 2 whom has learned a lot through the parenting of her children which I consider as a strength in combination to my professional training as I help others heal and grow. I would like to be added to your resource list. Thank you for your consideration!! Hi Elizabeth! Great to connect with you. I am glad to add another Christian therapist that has experience in adoption and trauma to the list. Thank you so much! Hi there – thanks for helping to gather this list of resources. It’s sad that it’s taken a travesty for there to be a spotlight on mental health in the adoption community, but am hopeful that light will bring these conversations and support to those who need it. I’m an adoption-competent, trauma informed therapist in Wisconsin. Hi Jaclyn, great to connect with you. Thank you for sharing your credentials with me so that I may add you to the list. I am also saddened that it has taken this huge loss in the adoptee community to raise awareness about a very serious issue in our community. I pray that with this list it will remove the overwhelming search to find an adoptee/adoption competent therapist for adoptees and adoptive parents. Thank you for do what you do and for joining this list. Thanks for this invaluable guide! I’ve been trying to find a good therapist that has background with adoption/adopted children. My daughter experienced significant trauma and has just now (6th grade) been diagnosed with dyslexia. Her self esteem and ability to trust and show affection is very low. We only want her to be healthy, happy and have a strong sense of self, but have had a very difficult time finding someone that is able to help her in New Hampshire. Anyone have any recommendations? Hi, Beth. Thank you for reaching out and your kind comment. I am sorry to hear that your daughter is struggling. I know it must difficult for the both of you, and I know it must hurt you to see your daughter struggling. At this time I do not know of any therapist in NH. I will post to my social media accounts and ask my peers if they know of anyone. If you are interested in Skype therapy in the mean time I can recommend you a couple therapist that can help you and your daughter. I have done therapy on Skype because I live overseas and have found it to be beneficial. Sometimes it is easier to open up in the comfort of our homes. I have also just posted a new blog on adoption trauma books that you may want to take a look at to help you better understand your daughter’s trauma and behavior. 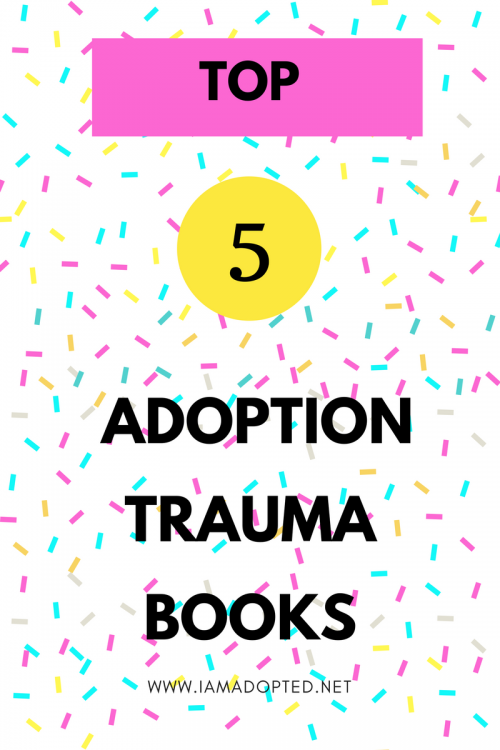 http://iamadopted.net/top-5-adoption-trauma-books-you-must-read/ please let me know if you have any more questions. Sending you and your family love and peace. Thank you for putting this valuable resource together. I thought I posted a comment before, but do not see it. My apologies if I am a repeat. I am a Licensed Clinical Social Worker in Seal Beach, California. I also specialize in attachment, trauma, and adoption. As an adoptive mom, I was thrust into a world I thought I would be prepared for. Little did I know. Since then, I have completed adoption training and work closely with Sharon Roszia. I work with anyone on the constellation from adolescence on up. I am also certified in EMDR. Hello – here are four more in California! Hi, Sarah. Thank you for sharing these great resources! I was not able to find a website to verify, Gere Brown. If you can send me a web link with credentials I can review it. Thank you so much for these awesome outstanding recommendations! Have a great weekend. I am an adoptee from West Texas and would like to know if there are therapists in this area. I am also working on my Masrees in Mental Health Counseling and would be interested in further training in adoption counseling. Thanks for including me. There are some great people on this list! Hi Brooke, you are welcome! I’ve heard great things about your practice. I’m happy to include you to this list. 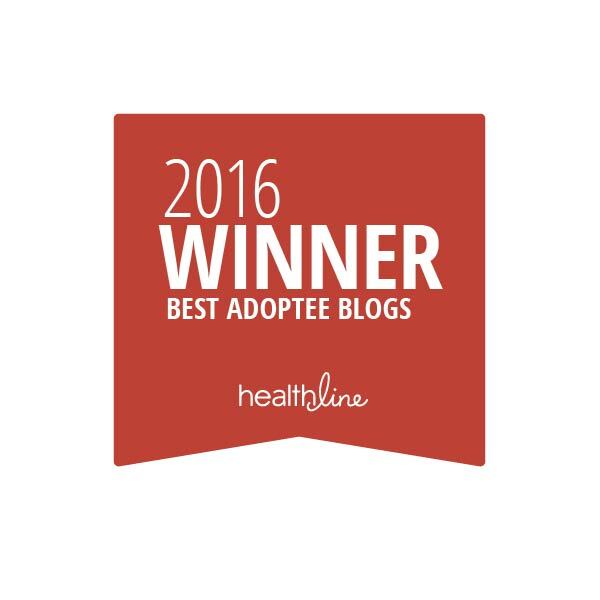 Thank you for being a part of the healing of adoptees. Hi Monica! Thank you for this recommendation. I will check out her information. Have a great weekend! Thanks for a terrific resource list. Hi Kathleen! Thank you for this kind message. Glad you are here. Lots of love to CUB! 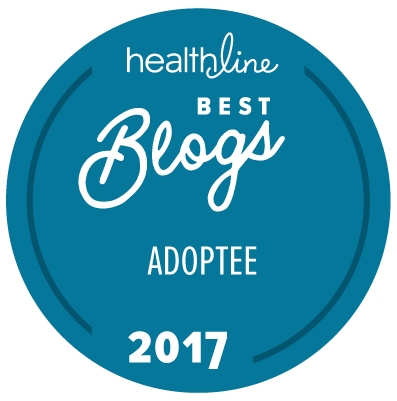 Thank you so much for compiling this list and including a wide array of resources for adoptive families! I am also an adoption-competent therapist. I am an LCSW in Evanston, IL (just north of Chicago). I have provided both home- and office-based services for adoptive families. I’m a Certified Theraplay Therapist and Trainer. Theraplay is great for adoptive families, as it provides a framework for creating secure attachment and healing trauma. I’m also trained in TBRI and ARC. If you’re still accepting therapists, it would be an honor to be added to your list. Thank you, Mandy! I have added you to my list. Samantha Wilson, PhD, IMH-E® IV, is Associate Professor of Pediatrics in the division of Child Development at the Medical College of Wisconsin. She is the staff psychologist within the International Adoption Clinic at Children’s Hospital of Wisconsin (www.chw.org/internationaladoption) has been licensed as a Clinical Psychologist in Wisconsin since 2008. She provides support to families at all stages of their adoption journeys, including pre-adoption education, initial consultation following a child’s entrance into the family, school-age assessment, and trauma-informed, adoption-competent child/family therapy. She has published numerous scholarly articles on adoption, institutional care, attachment, and early child development and is a contributing author to a book on the post-adoption development of children adopted internationally (Supporting Development in Internationally Adopted Children). She is adjunct travel staff to the Wisconsin-based TIES program, a heritage travel experience for children and families. Dr. Wilson completed specialized clinical training/education to support the unique social-emotional development of infants/toddlers and is currently credentialed within Wisconsin as an Infant Mental Health Mentor (Level IV – Clinical). Thank you for sharing your profile and credentials. I have added you to the list. Wonderful resource. Thank you for this. Unfortunately, this list is solely for therapist that specialize in adoption trauma. Hi Jessenia – you may want to check out Forrest Lien at his team in the Denver area at http://www.instituteforattachment.org. Thanks for this great resource – it’s MUCH needed for parents! Hi, Nichole! Thank you for being here and for the recommendation. I will check out the website and Forrest Lien and his team for consideration. Have a great day! Hi Nichole! Thank you for the recommendation. I will check him out now. You might want to add Lebekah Shin in Kansas City. She has been a godsend to our family. Hi, Brook! Thank you for being here and sharing a recommendation. I will look into Lebekah Shin for consideration. Have a great day. Any therapists in the Minneapolis, Mn area? Hi, Joan. I will check with my contacts and see if any are available in your area. Please check back in a couple of weeks. Thank you for being here. Have a great day. Hi Joan. I’m sorry at this time I don’t have any recommendations in the Minneapolis area. Please check back again by the end of this month. The list will be updated shortly with new therapist. Hiiiii Rachel! I love your tweets! Thank you for reaching out and willing to help me build this list. That’s so sweet of you. At this time I do not have any recommendations for the UK. I would be incredibly thankful if you could ask your followers for recommendations and get back to me. Thank you so so much! If you’re still looking for therapists in the UK, there is a large cohort of Theraplay trained (and certified!) therapists there. Much of Theraplay includes adoption-competency and puts an emphasis on trauma. 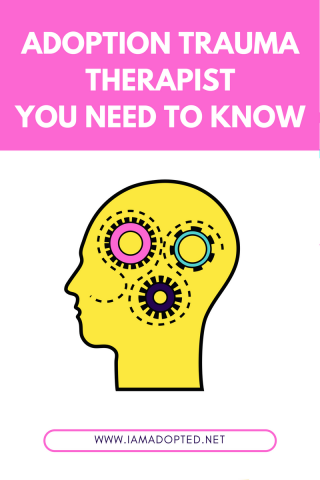 I’d recommend checking out the Theraplay website, clicking on the “find a therapist” tab. Then you can find who would be geographically closest. Thank you for including me! I am so honored! I am not only a therapist but an adoptee myself and an adoptive mother of 6! I would love to. be added to the list. I am in Medina Ohio. Adler Purple-Green.jpg. I’d love to be included. I am a first/birth mother and a therapist in Atlanta, Ga. who is moving to Asheville, N.C. next year. I would also invite any therapists on your listing to join a Closed FB Group that I’ve developed with Lesli Johnson, MFT. OurFB group is called “From The Inside Out, A Network of Therapists.” you can find it on FB (it has a photo of a winding road) and request to become a member. We post all kinds of adoption related info, can offer case consultation, and help others find therapists across the U.S., and maybe abroad. With your permission I will share this post on our FB page and perhaps more therapists will contact you. You can also contact us when you are looking for someone in a particular location. There are several wonderful therapists specializing in adoption at ATCNE. Great list of resources! I am a therapist in Austin, TX (& do video counseling if the person above in West Texas is interested in linking up). I am an adoptive mom of two & specialize in both the trauma side of adoption & in helping people build better relationships in open adoptions & reunions. My website is http://www.HopeForTheJourney.org. Hi Jessenia, I would like to be on your list if possible! I’m a therapist in New York City providing therapy for adopted adults. 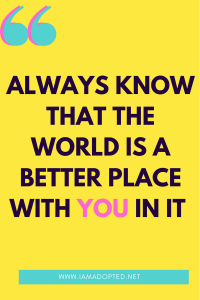 I help adopted persons know themselves better in order to be able to connect better with others. I’m trained as a gestalt therapist and in EMDR and work a lot of with the body and our pre- and non-verbal experience of trauma as a way to get to the heart of the person’s adoption experience while being sensitive to the effects of trauma and of issues in adoptee development. My website is http://www.jennifergriesbach.com and I’d be happy to provide whatever information you need. Thanks for this wonderful list and for all your work including this site. Hi Jennifer! I’m glad we connected. Thank you for sharing your profile and credentials. I have added you to my list. Have a great rest of the week. Thank you for being a part of this community and helping support adoptees. I am not sure if this is the right place to leave this but I am in need of assistance. My daughter was adopted from China at 1 years old. She is 13 now and is struggling with depression, anxiety and most recently states she doesn’t feel “right” in her body. She is incredibly bright, does very well academically but has always struggled socially. We have seen a therapist on/off for 2 years. She was diagnosed with depressive symptoms but didn’t meet the criteria for depression. I am in the Chicago area and need help. Any advice or recommendations? Hi. I hope you can help us. We are looking for someone like yourself but live in Lake Co., Ohio and cannot find a specialist. Just found your website. We adopted a 21/2 yr. old after fostering her since 9 mo. old. She is now 14. Has adoption/trauma and attachment disorder. She was in counseling for about 8 years and she hates me for that. She’s been out of counseling now for a little over a year. My husband and I need help to try and help her and I am feeling scared for her. She has such a sweet and kind heart. I have reached out to several counselors/agencies and there seems to be no one that specializes close to us. We’re in Ohio. Can you help at all with finding someone?? Feeling kind of desperate… Thank you!! Hi! I left a comment the beginning of December this past year. There is a comment stating that my comment is awaiting moderation. I am looking forward to you emailing me to see if you can help. The area we are looking for in Ohio is Mentor or Cleveland. Thank you so much. I am thankful for your website! Any recommendations for a therapist for a 10 year old boy in the Raleigh, NC area? Hi Jessenia. Our organization doesn’t specifically work with children who are adopted, however, the majority of the kids in our program have been adopted. Due to early trauma between the ages of 0-3, and often multiple placements in foster care, etc., they’ve developed reactive attachment disorder. Please check us out if you’re interested in offering such a resource. Thank you so much! So glad I can be ignored. Hi, Nicole. Unfortunately I cannot answer that question for you. My best advice would be to speak with your therapist. Hello! What great resources. I’m looking for resources for Transracial adoption counseling for my son. Anyone? Thanks! Hi Susan! Let me see if there’s anyone in your area. I’ll get back to you shortly. Thank you for being here. Thank you, Mj! I’ll add her to the list. I just found you, Jessenia, through the latest Adoptees ON podcast. I am in Memphis TN and am an adoptee. I am looking for a competent Adoptee trauma therapist. I have contacted several therapists, but none have ever read The Primal Wound and don’t feel like they can assist me. I am on my 3rd marriage and it is crumbling. I have no friends and have a very strained relationship with my adoptive parents who are aging and need more of my help than I can currently give. I would be willing to drive or Skype. Thank you so much for your resources and for just being. is struggling and there is a lot of verbal fighting and blame and we need help soon. Hey! This is a super helpful and important list. Would it be possible to organize this list by state for people’s easy reference? Also, to include whether they take insurance, specifically Medicaid, and/or have a sliding scale. Hi Eve! That’s a great suggestion. I’ll work on that. Thank you! Hi, do you have any recommendations in Pennsylvania? I have been looking for therapy like this for my daughter. We adopted her at 11 months and she is now 16. Depression, aniexty and lack of self esteem have been devastating for her and for us as parents to watch. We have tried traditional counseling for her and it has not helped her. Hi, Stacy. I’m sorry to hear your daughter has been struggling. I know that has to be difficult for you, too. 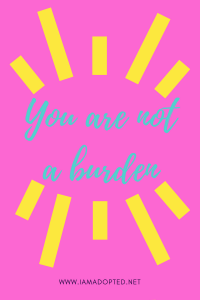 From my own experience and from hearing the experiences of other adoptees that have been in therapy, there’s a huge difference in traditional therapy vs. a therapist that is adoption trauma informed and trained. Let me reach out to my contacts and see if I can find you someone. Please hang in there. There is hope.